"Microsoft has announced that the latest version of Windows Phone 7 will be released in a ‘VIP Preview' event on May 24th, in NYC." Microsoft is set to give a 'VIP Preview' of the upcoming version of their Windows Phone operating system on May 24th in New York City. This upcoming version is believed to include Bing voice turn-by-turn navigation, IE9, Skype support and multitasking. Mango is shaping up to be a HUGE update...I can't think of any dot release by any other mobile OS that has this many new features, fixes, etc. If Microsoft can deliver it on time, with a relatively smooth roll-out process, then it will be great for the platform. I agree regarding the size of the Mango update. It's big. If Microsoft wasn't playing catch-up with other OSes, adding this many features could have been a full version upgrade. The sheer amount of programming and testing required for everything being implemented is significant. I think it proves that Microsoft isn't sitting on their laurels. And while many may rightly criticize them for not having a fully featured OS out of the gate, I don't think it would be an honest criticism if someone accused them of not trying very hard to remedy that in quick fashion. 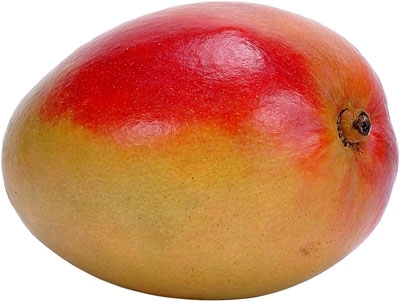 There were plenty of news on Mango before that announcement. Can it be preview of WP 8? There have been teasers about Mango, but no finalized, confirmed list of features from Microsoft. That's what this is going to be. It's not going to be a preview of Windows Phone 8. I hope that "mango" will address Tasks, Categories, Calendar and desktop sync issues with the OS. If not I will go on Ebay and buy again a HD2 waiting to see what W8 will bring on the table. I doubt we'll see any of that addressed in Mango. I too would like to see Tasks added, but we're in a tiny minority (sadly). What Calendar issues do you think they need to fix? As for desktop sync, I think that ship has sailed (again, sadly). I'm not sure when they'll come up with a desktop sync solution. I cannot speak for a moltitude of people but almost everybody that use Outlook, both in our company and friends of mine, heavily rely on tasks to handle the daily business. So either way MS stops portraiting Wp7 as an OS, and a phone, aimed at business oriented people or they fix the situation. As for Calendar i would like to see a "week view", a working/usable Month view (Granted I am not twenty anymore but even my daughter who is 9 years old and has a perfect sight can read the WP7 monthly view. ), Being able to see more than two "all day appointments" for each day and use categories. I am afraid that Desktop sync will not be brought back to WP7 too but I am hoping that when W8 will arrive and, in my opinion of course, replace WP7 that is nothing else that a temporary solution we will see back a full fledge smartphone OS from MS. I personally agree - I use tasks now and then myself - but in every meeting I've had with people at MSFT as part of the MVP group or Mobius group, the vibe is always "Our data says most people don't use tasks". If you think back over the past decade, Tasks have been missing or neglected from nearly everything Microsoft does. If I recall correctly, Tasks were also completely missing from the first version or two of the Smartphone platform. I've put a poll on the front page, inspired by this, so go vote please. I personally don't miss the week view, but in general I feel the Calendar app is pretty bad. I find it visually confusing to quickly separate the days when I'm in agenda view. I think Microsoft did a bad job here. And I don't know what the joke was with the month view - no human being can read that - so I think it might just be a visual indicator of "something" happening that day. Mango appears to be more consumer/entertainment focused than business focused. So I doubt we'll see those improvements. I'm sure there's some code name internally for their business improvements. But we haven't heard about it yet.